Shannon Payne is of Mi’kmaq and European descent. She is a member of St. Theresa Point First Nation, an Oji-Cree fly-in community in northern Manitoba. She is married and has four children and one grandchild. Shannon’s academic and professional background is in education and policy and includes a Bachelor of Arts in Native Studies and Psychology, a Bachelor of Education, and a Professional Master of Public Administration from Queen’s University. She has taught all grades from Kindergarten to grade 10, mainly on reserve. 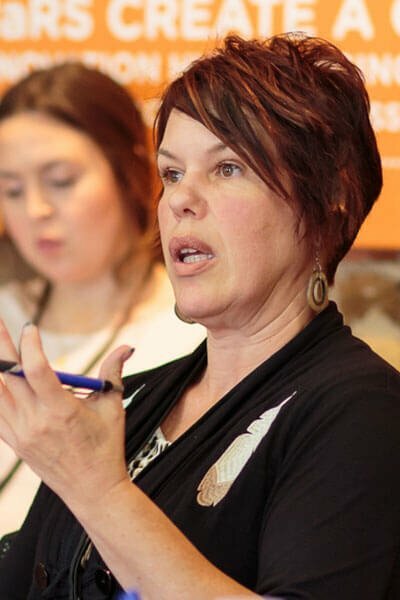 As well, Shannon has worked as a teaching Principal, an Adult Educator and Trainer, an Employment Counsellor, an Executive Director of a Resource Centre, a university Learning Skills Counsellor, and as an Indigenous Education Coordinator. She worked with the Assembly of First Nations as an Education Policy and Research Analyst and Community Liaison. Shannon is currently CEO of Sakatay Global. Shannon has lived and worked in many places across Canada including Manitoba, Northwest Territories, Ontario, Nova Scotia, and Prince Edward Island. Some of Shannon’s personal interests include reading, singing, drumming, playing the harp, sports and outdoor activities, and doing stained glass.